So you want an independent Scotland – a constitutional change away from the UK, who famously are one of only 3 countries in the world without a written constitution. We suffer from (and complain about) the lack of a UK constitution, which means that the constitution is what the governing party in Westminster decides it is, which in turn means a permanent democratic deficit for Scotland within the UK. There is nothing in the current arrangements to prevent withdrawal of your Human Rights, for example – or freedom of speech – because the laws can simply be changed by an Act of Parliament (this may explain why the UK prefers NOT to have a written constitution). The UK is one of only 2 countries in the world (the other is Iran) to allow religious clerics like bishops to set the laws of the nation, in the House of Lords, and there is no prospect of that ever being remedied. All normal modern countries have a written constitution – not to do so is almost feudal. If we are the people asking for constitutional change, we must accept the responsibility of defining a new constitution. 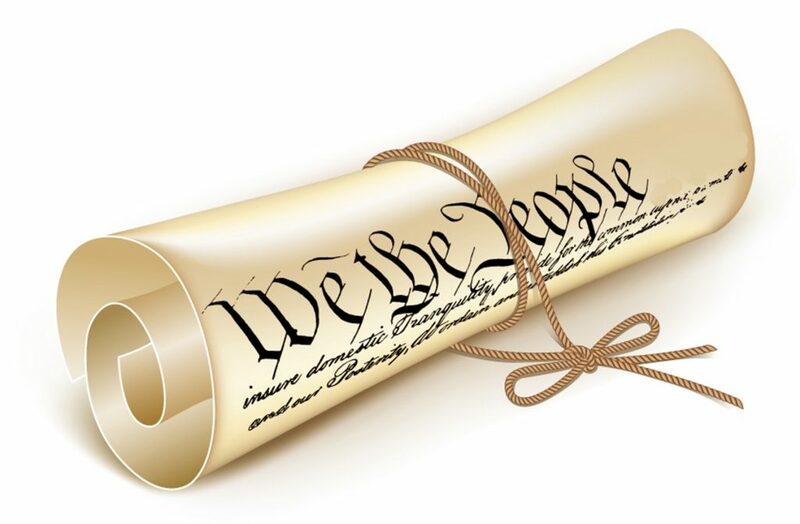 What is a constitution? It’s a codified definition of a nation’s principles and values. For example, the United States Declaration of Independence states that all men are created equal, that they are endowed by their Creator with certain unalienable Rights, that among these are Life, Liberty and the pursuit of Happiness. A modern Scottish constitution could state “popular sovereignty as the sole basis for legitimacy, human rights for all, including equality, freedom, justice and the search for happiness”. It would define both rights and responsibilities of citizens. Think of a constitution like the operating system on your computer, and the legal system as the apps. Or a canvas that you are about to paint on. Reassurance to those who did not support independence – how do they know that the new Scottish state will not act against those who opposed its creation? What will prevent the SNP, or any other administration, devising a political system that enables one party to rule forever? When should we define and adopt a new constitution? Most normal countries do so before independence. Scotland faces an existential threat from the UK (EVEL, Henry VIII powers, being taken out of the EU etc). We are defining many other aspects of what an independent Scotland should look like (Growth Commission, Currency etc) – but surely defining what a new Scottish state would stand for (and what it would not stand for), what its principles and values are, should be the first urgent priority? How do we do it? We ought to set up a Constitutional Conference to develop a Provisional Constitution before the next referendum. This would have the effect on making the creation of a new state a public process, while reassuring those presently opposed to it that their rights would be protected. Who should define it? A lot of work has already been done since 2013, and you can participate now via a wiki-based constitutional development platform at scottishconstitution.com, developed with financial support from the Scottish Independence Foundation. Since all can participate on an equal basis, never before have the people most affected by the law been able to positively influence its future development. This platform enables homeless people to help develop housing law. People on benefits and the disabled can help design the new Scottish social welfare system. Labour unions can help write labour law. Doctors can help write medical law. Administrators applying UK law can impart their invaluable experience to improving new Scottish institutions. The possibilities are limitless. It could be the world’s first empirically based constitution, developed scientifically rather than politically. We need all the collective wisdom possible to have a fully functioning independent Scottish State by 2020. We have to show the world that Scotland is ready and worthy of reclaiming its status as an independent nation. Yes Edinburgh West has a website, Facebook, Twitter, National Yes Registry and a Library of topics on Scottish Politics, including Independence.